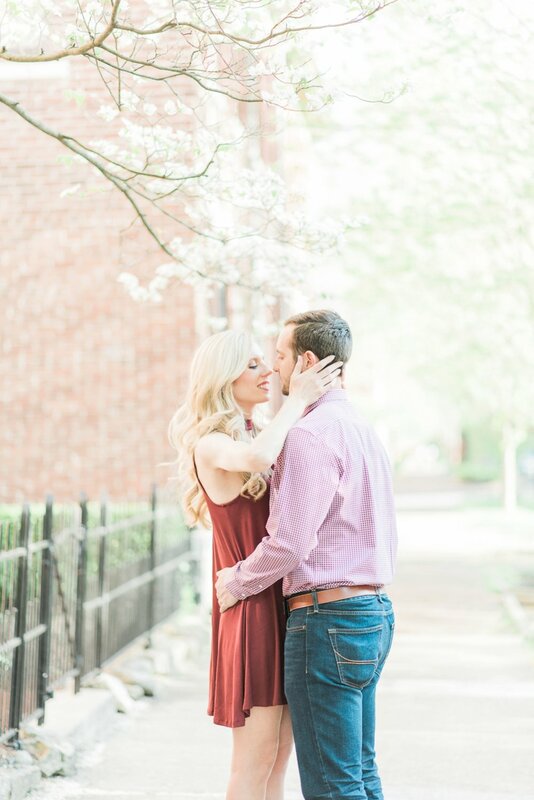 Kalie and Evan drove from Dayton to meet me for their engagement session in German Village, and it was SO much fun getting to meet them in person for the first time. I had learned that they are both coffee aficionados like myself, so it seemed only fitting to meet them at one of my favorite coffee shops in Columbus, Stauf's Coffee Roasters! Over some of that wonderful coffee stuff, we got to chatting and I heard their story of meeting while students at Cedarville University. On one of their first dates, Evan took Kalie to a local miniature golf course, and later, Evan planned the sweetest scheme to "pop the question" by taking Kalie back to that same spot. After playing a green and going to retrieve her golf ball from the hole, she surprisingly found the most beautiful, shiny ring in there as well! How perfectly romantic is that?! 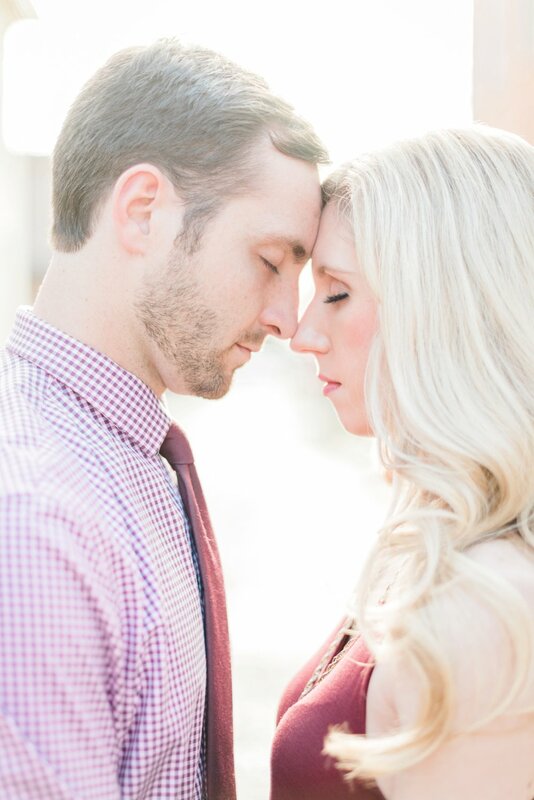 Kalie and Evan are planning a September wedding at Polen Farm, and I am so excited and honored to be a part of their day. These two just exude love and the dearest kind of friendship for each other. I know their wedding is going to be a beautiful celebration, and I'm personally looking forward to seeing more of their incredible ballroom dancing skills, which I was fortunate to get a little preview of at their session! :) Enjoy these favorites of mine below!